I have a lot of conflicting thoughts and feelings when it comes to Rebel of the Sands. There were sections that I really enjoyed, and other parts that I didn't. The aspects that I liked the most were the overall plot, Hamilton's writing style, and the characters. However, the mash-up of Western meets Arabian Nights didn't work for me and made the book feel awkward to read. At times, I felt emotionally disconnected from the characters and I couldn't always understand their motives or empathize with their feelings. That being said, there were a few select characters that I adored, but they just didn't get enough page time. I'm a big lover of fantasy, and the fantasy elements in Rebel of the Sands were interesting, but I wish they had a more obvious presence at an earlier point in the novel. Overall, I'm interested to see what Alwyn has in store for her readers in the future, but I can't say that I would be desperate for the next installment in this series in particular. 2) I really loved the side couple—Bahi and Shazad. They were adorable and had obvious chemistry. I wanted to know everything about these two—how they met, their entire history, everything—I GOTS TO KNOW!! 3) Alywn's writing is funny and witty, just like she is. She knows how to describe the lay of the land in a way that makes it easy to picture. Her dialogue is hilarious and infectious. You wish that you were sitting alongside the characters as the conversations are happening. 1) The fantasy elements in Rebel of the Sands were introduced very late in the novel. For the majority of the plot, you get a small taste of the magic, but it makes a big appearance at the end of the book. I wanted more magic throughout the novel, because the way it was fully introduced at the end felt more like an afterthought. There is an explanation in the last pages of Rebel of the Sands as to why magic shows up later, and I simply wasn't satisfied with it. It was just a little too convenient for me. Though I do go back and forth on whether or not I'm splitting hairs on this one, because on one hand, it could make sense, and other the other hand, I'm like..
2) I didn't feel the chemistry between the main couple. I didn't ship them and I'm not against them, but their relationship was lacking something for me. They just seemed like unlikely friends throughout their entire journey. It's true, they had great banter between them, but I simply didn't feel the spark. 3) The book ends at a really odd place. It's not a cliffhanger, but it just kind of drops off. This left me unsure of what to think or feel. I actually flipped the pages back and forth a couple times before I realized that what I saw was actually the end of the book. "And you're still here?" Jin squinted at me, then started to laugh halfheartedly. "Either I'm dreaming or I'm dead." I had to keep him talking. "Dream about me often?" Shazad battered her eyes at him like we really were guests at a party. "You'll forgive me, have we met?" His expression curdled. "Of course. I wouldn't expect the great general's only daughter to notice one of the Sultan's many sons. Though many of us noticed you." "I noticed the sons that mattered." Shazad replied cooly. "I was locked away in the Holy Order at the time," Bahi said with his mouth full. "Or I would have talked some sense into her." "Would you like to tell her what you actually did when you got kicked out , or shall I?" Shazad said. Bahi was suddenly very intent on his food. " I don't recall." Shazad didn't miss a beat. "He got very drunk and turned up to serenade me outside my father's house." I snorted a laugh. "What song?" I couldn't help but ask. "I don't remember," Bahi muttered again. "'Rumi and the Princess,' I think?" Shazad said. "No." Bahi looked up defensively. "It was 'The Djinni and the Dev' and it was beautiful." He puffed out his chest as Shazad doubled over laughing. 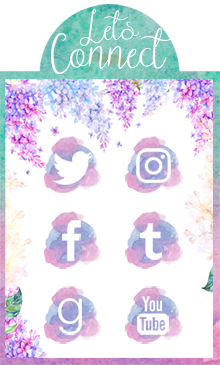 I just posted my review too :-) I'm sorry this one didn't work out as well for you. I am glad you were able to find aspects that you did enjoy. I hope I like it... or at least be a nice reading with some pitfalls but not taking away from my desire to read. I think I'm in the minority so I don't think you have to worry! I hope you love it. You're the sweetest! I'm glad you enjoyed this review. I wish I liked this one more but maybe I'll like the sequel better. Yeah, give it a try and see! I wanted to love this one but unfortunately it was a miss for me. 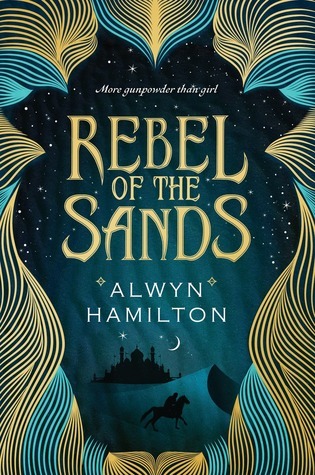 I'm not sure about this one, reading the synopsis doesn't really sound like my cup of tea, your review was great but now I'm feeling even more doubtful about reading Rebel of the Sands! Maybe I will pick it up at the library instead of buying! I feel a bit conflicted too. I think I liked it more than you did (I'm thinking like, a 4 star probably) but I think the same things bothered us. I was okay with the explanation for the thing at the end- but only after I REALLY thought about it. Because it DID seem kind of easy, but then... it did make sense, and I didn't see it coming, so I gave it a pass. I feel like the biggest issue for me was the world. Like you said, it was Western-Arabian, and I don't know what to do with that haha. Like, there's shoot outs and she says "reckon" like 72783 times... but then otherwise, it's pretty much desert and such. I want to know more about the world, basically. I did enjoy the couple- though I would have liked a bit more spark too. But you're SO right about the side characters. I think without them, it definitely wouldn't have been as strong for me. The writing was really great for me too. Fabulous review!! Originally, I thought I'd give it a 4 but when I went to write the review..it just didn't feel like a 4 to me. The thing at the end..it just seems as if there were ways she could have figured it out before in my opinion so I don't know. I'm glad that I'm not the only one who had a problem with the world. AND YES SHE SAID 'RECKON' SO MANY TIMES...I was beginning to think I had imagined it since no one else I know has mentioned it. Also, I didn't feel like I ever felt that I fully understood the setting. The side characters are originally what made me want to push this book to a 4! Unfortunately, the main couple isn't swoon worthy as of right now. Maybe the next book will change my mind?